"T he stock market is overvalued." "The stock market is undervalued." 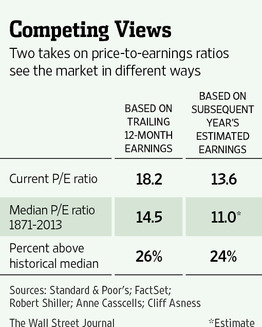 Both are, thanks to quirks of the most popular way of measuring a stock's valuation: the price/earnings ratio.